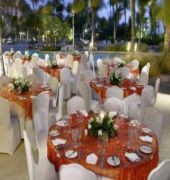 A picture-perfect holiday at the Radisson's Luxury Aruba Resort, Casino and Spa. 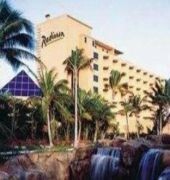 The 15-acre Radisson Aruba Resort, Casino and Spa is a sparkling oasis that beckons from the warm, ivory sands of the most expansive and pristine beach in Palm Beach, Aruba. The property is surrounded by fragrant gardens, exotic lagoons and cascading waterfalls, and guests staying in the hotel rooms and suites find themselves immersed in the island's most lush and luxurious Caribbean resort. 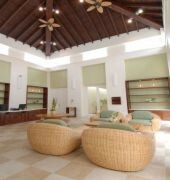 Property amenities at the Radisson Aruba include the Larimar Spa, a casino, two pools and on-site, Four-Diamond dining. 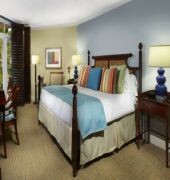 Book online and enjoy a relaxing Caribbean getaway at the Radisson Aruba Resort, Casino and Spa.